Basically sorts mdl files (source studio model data) into their respective filepaths. 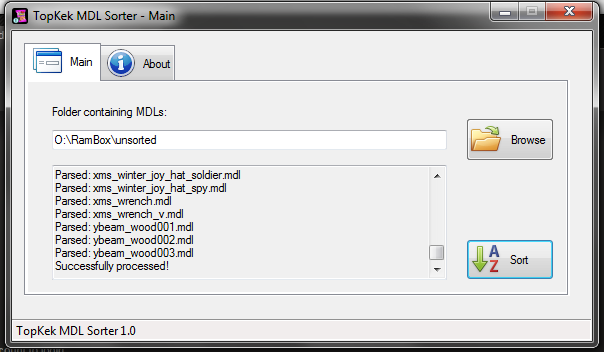 For example if you have an mdl Character_Brian.mdl which was compiled to be located in. I forgot to make a blog post about this, I guess at the time It wasn’t really relevant since someone requested it and I didn’t think it was that useful.